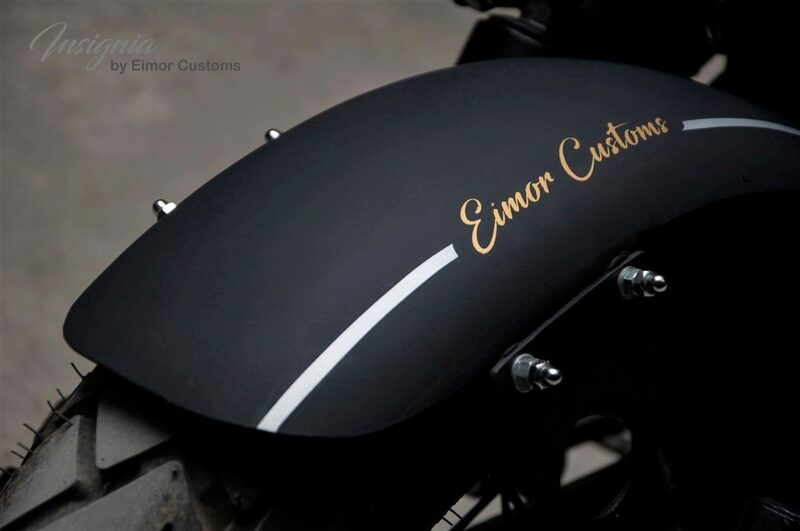 EIMOR Customs are here with Royal Enfield Classic 350 Insignia, the recent creation with detailing that can put most modifiers to shame with a single glance. 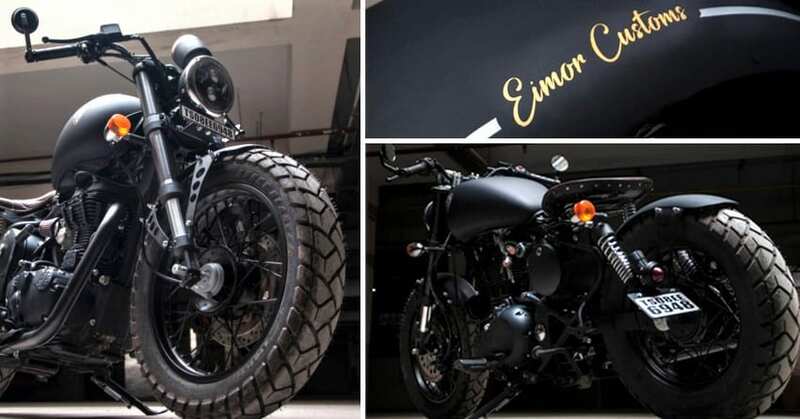 The motorcycle flaunts Bobber styling, with huge Royal Enfield fuel tank fulfilling the owner’s desire in the classiest way possible. 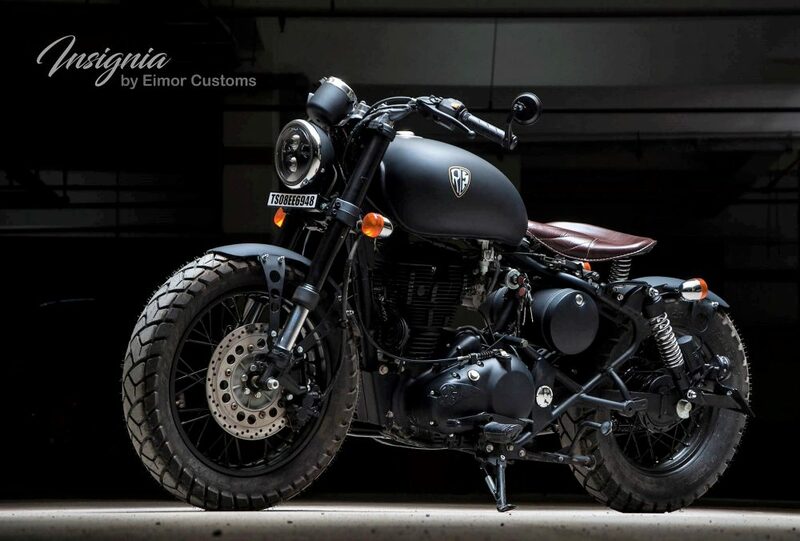 The huge 120-section front and 140-section rear tire, perfect thick tread pattern and rear 15-inch wheel confirm that dominance is hardwired from the birth in Classic 350 Insignia. 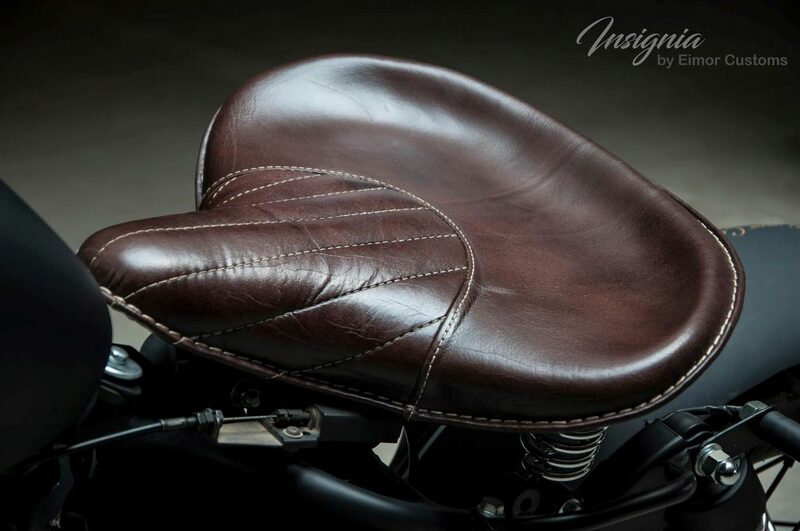 The modifier has removed the rear seat to achieve a perfect single seater look with leather-finish on the front brown seat with dedicated springs for added comfort. 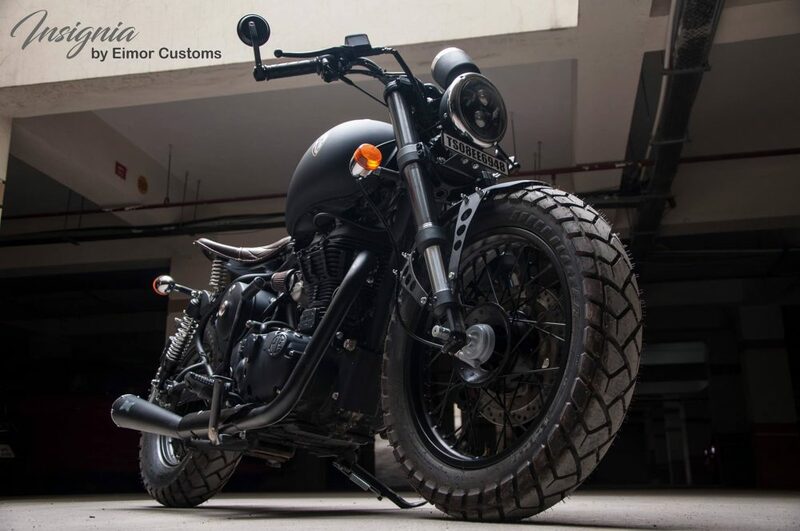 The front and rear fenders are totally revamped to achieve this massive look, attached to the frame through these machined holders with a circle-filled design. 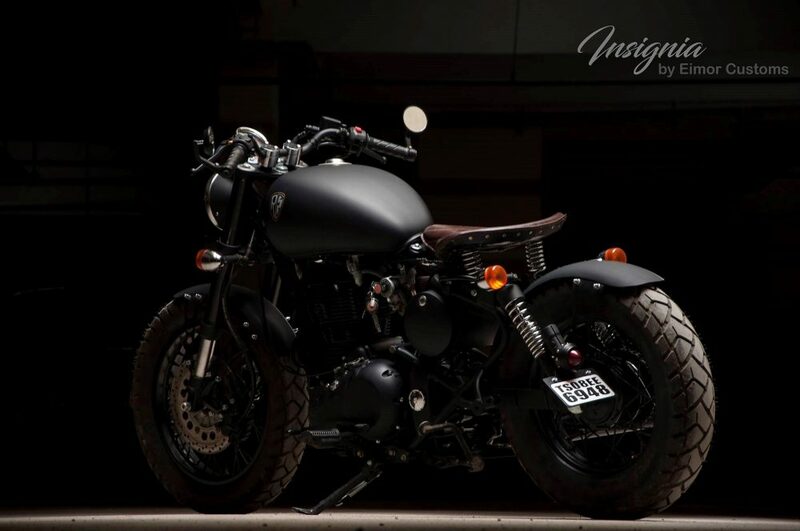 As the motorcycle is based on the single disc version of Classic 350, the rear brake was kept drum-type to save on the extra cost. 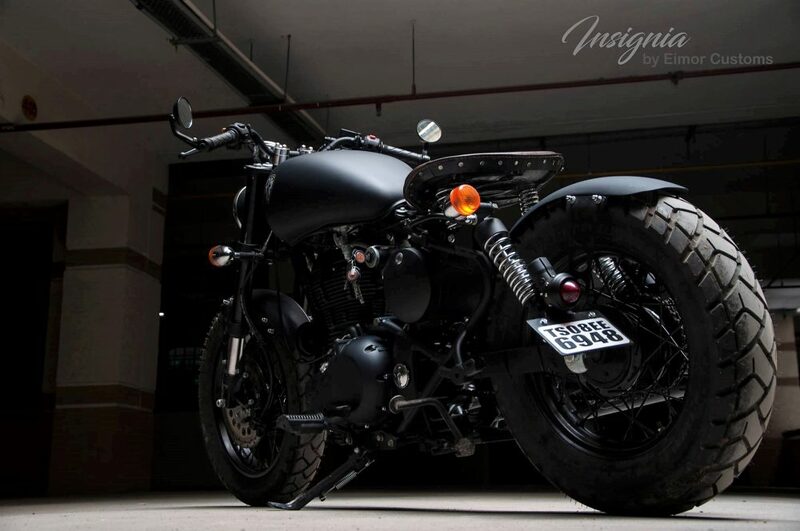 The use of Megaphone exhaust, that too in black, has made the overall profile smarter than ever. 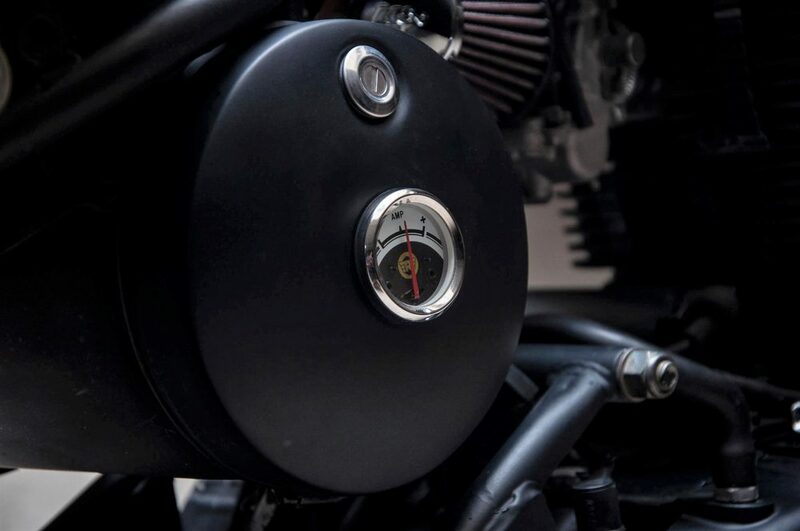 The biggest change on the Insignia is the use of front USD forks with limited travel and thicker outer tubes. 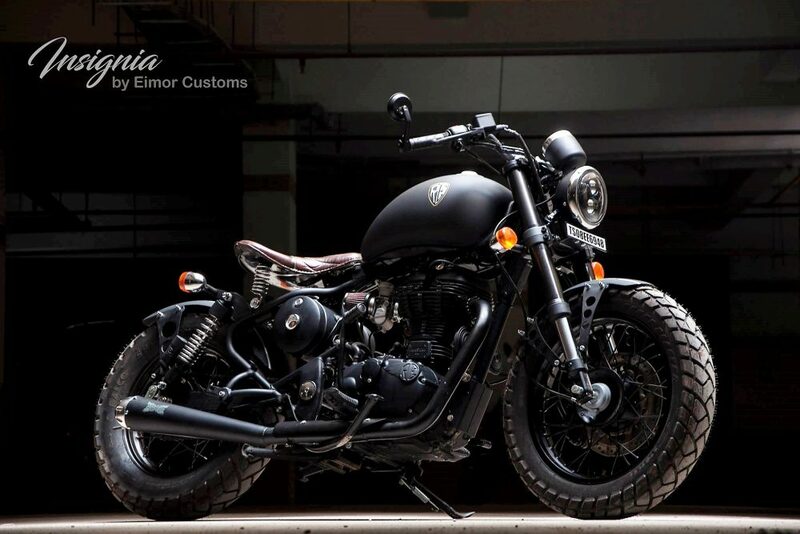 They are not just more Bobber friendly but also suit the overall Royal Enfield character. 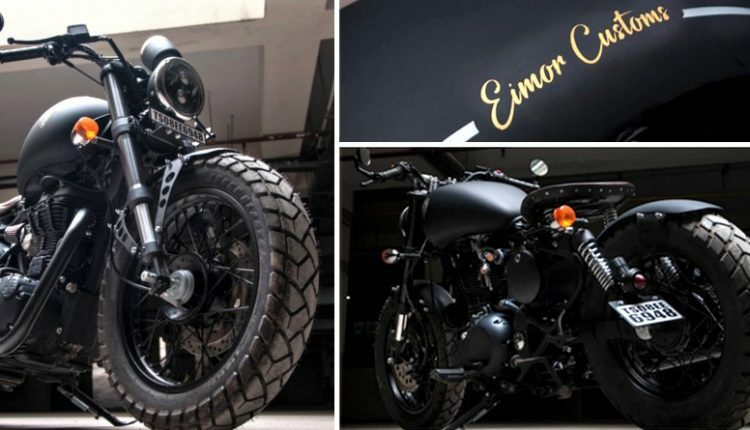 EIMOR Customs have used the dark theme and matt finished paint to achieve the premium feel, further painting the spoke wheels and engine black for excellence. 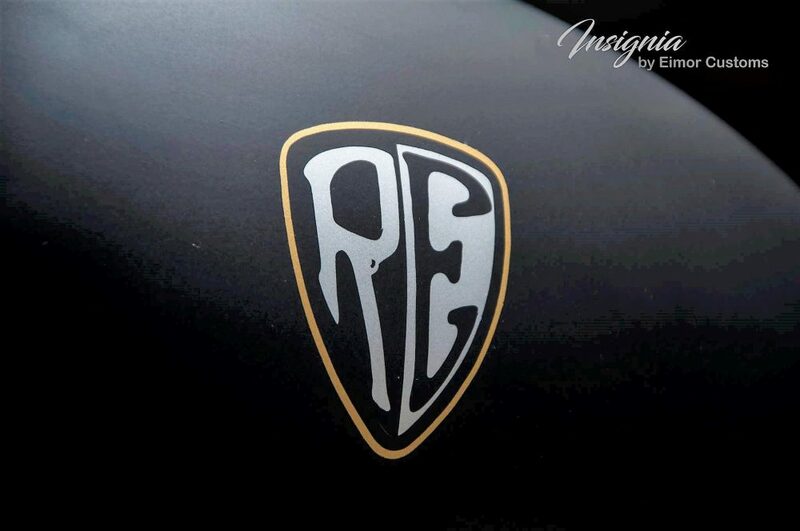 The RE logo painted on the fuel tank is also unique to the Insignia. The amp needle has moved to the side box while custom instrument console with a chrome-packed LED light helps to complete the package. 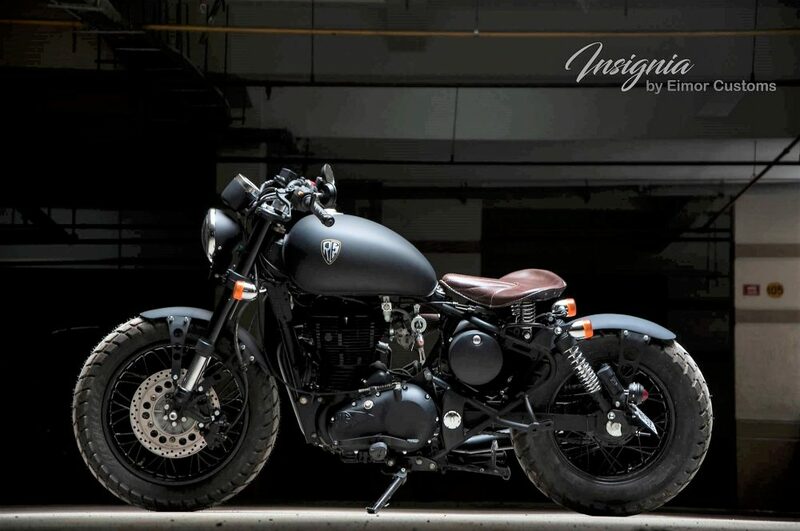 Classic 350 is powered by a 346cc engine, leaving buyers with massive 28 Nm of torque handy at all times. The brake light and number plate holder on the Insignia has moved to the left side.